The Stockholm Metro. Photo: Gella. New data presented to the media by the International Association of Public Transport (UITP) at InnoTrans answers these questions and much more. By the end of 2017, there were metros in 182 cities in 56 countries. Of these, 17 are in North America (See the diagram below for more detail), 19 in Latin America, 46 in Europe, 11 in the Middle East and North Africa (MENA), 16 in Eurasia and 73 in the Asia-Pacific. Metro networks worldwide in 2017. Grey indicates a country without a metro network. Photo: UITP. 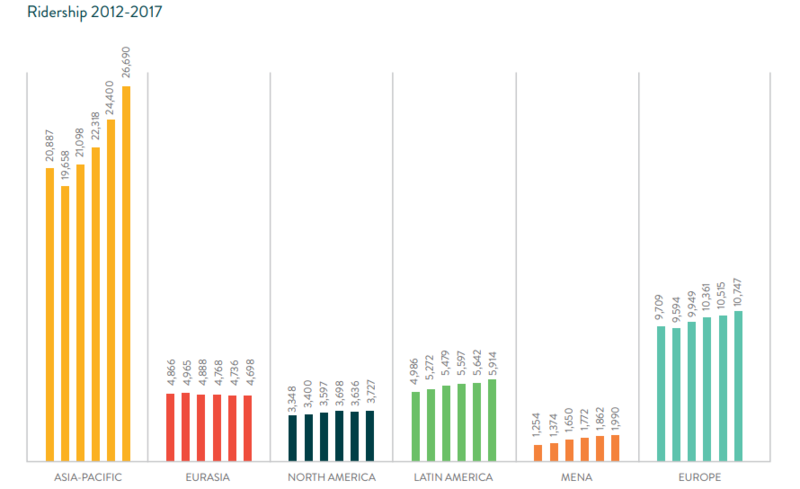 Between 2012-2017, world metro ridership increased by 19.5 per cent, with the MENA region proving the highest growth area with an increase of 58 per cent. Eurasia was the only region to experience a decline in passenger numbers (three per cent). UITP analysis revealed that moderate growth of 10 per cent in the North American region hides a contrasting situation. Whereas Canadian metros and New York have experienced significant growth, the region’s other 13 metros have shown a decrease in passengers. New Delhi replaces Paris from 2015’s top 10. 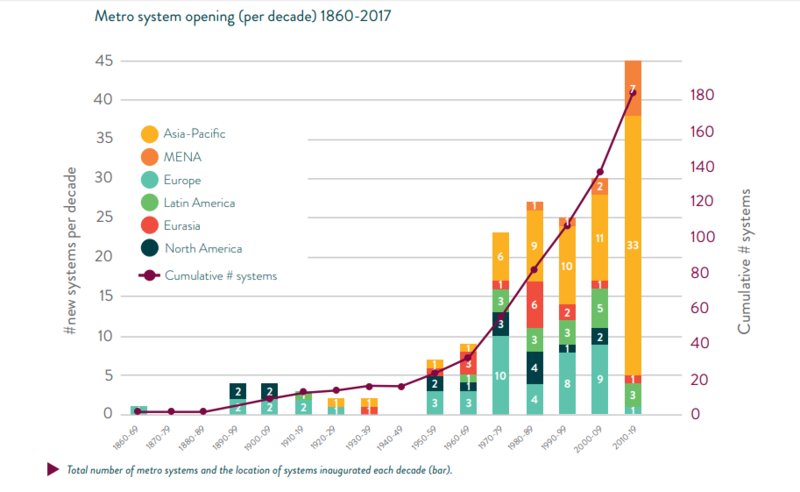 Seven of the top 10 systems are in Asia. UITP data from 2017 shows the Asia-Pacific region recorded 26,690 million annual passengers, putting it far ahead of any other region. The area with the second highest amount of passengers was Europe with 10,747 million passengers. Ridership between 2012-2017. Photo: UITP. 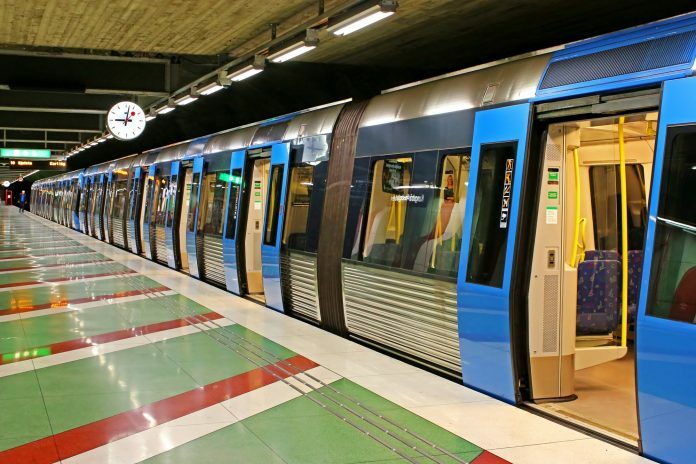 Looking ahead, UITP predicts that an average of 1,400km of metro lines will be added each year between 2018-2022. The opening of metro systems throughout the world. Photo: UITP.